What do you think of when you hear the words “animal testing”? When I asked this question to members of the general public in my research, often the responses included things like “bunnies having horrible things put in their eyes” or “the skin of rats or rabbits being used for chemical burn tests.” Not once did a study participant mention dogs being forced to run on a treadmill until they suffered a heart attack or monkeys with boxes implanted into their skulls strapped into chairs while they viewed tv screens and researchers monitored their neural pathways. My research shows that when asked this question, the average person will describe images of what are in fact instances of cosmetic testing, rather than biomedical testing on animals. There are a number of reasons for this, including the fact that biomedical testing is shrouded in secrecy and kept largely out of sight of the public (a topic I will explore more fully in future blog posts), but also because animal rights activists and organizations have often used these kinds of images in their campaigns to end the use of animal testing. But “animal testing” is not synonymous between the cosmetic industry and the biomedical industry. 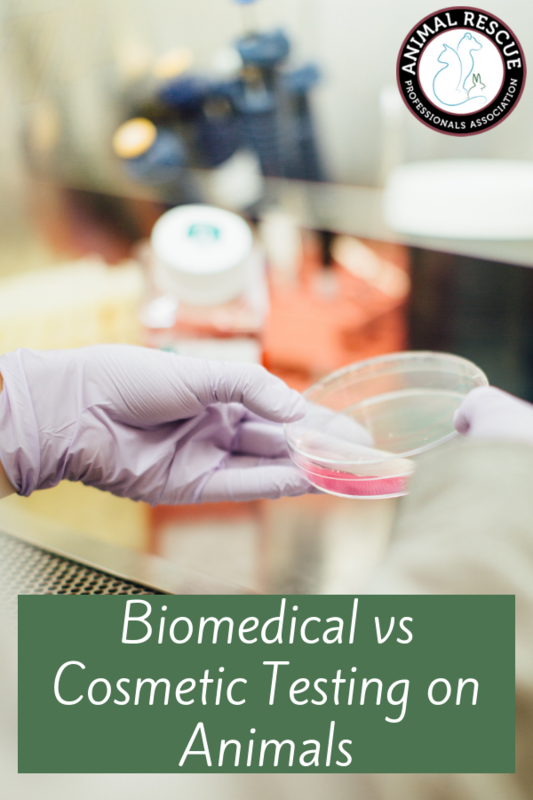 Biomedical testing for drugs, vaccines, and other biologicals (i.e. drug/vaccine ingredients and excipients, antibodies, and hormones) is required by US law and the Federal Drug Administration (FDA). Animal testing is conducted to better understand how a drug impacts the body, i.e. how much it is absorbed into the blood and various organ systems, how it is broken down by the body, any toxicity to the body, and how much and how fast it is excreted from the body (FDA 2018). The FDA requires that drugs be tested in at least two animal models prior to testing in humans to account for differences between the physiology of the animals and humans (CDER 1998). However, this does not mean that only two studies are done in animal models prior to the drug moving into human studies. On the contrary, dozens of pre-clinical studies will be done in animals in an effort to collect enough data to justify first-in-human clinical trials. 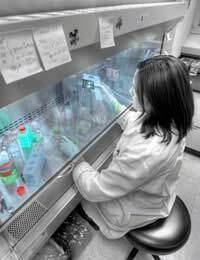 However, because of cost, feasibility, fast life course, and political/social climate regarding the use of animals in research, mice and rats are most often used to develop a dossier of data that can then justify studying the drug in another animal model. Following studies in mice or rats, scientists are specifically looking for an animal model that will generate the best and most translatable data that can be used to support further study of the drug in humans. Therefore, animal models at this point are chosen based on how similar they are to humans in terms of the specific organs or body systems that the study drug’s mechanism of action is targeting. For example, if the drug being tested is to treat cardiac issues, a canine may be used given the similarity of human and canine hearts. For respiratory illnesses, ferrets are often used, dermatologic conditions are often tested on pigs, and for neurological diseases, primates. 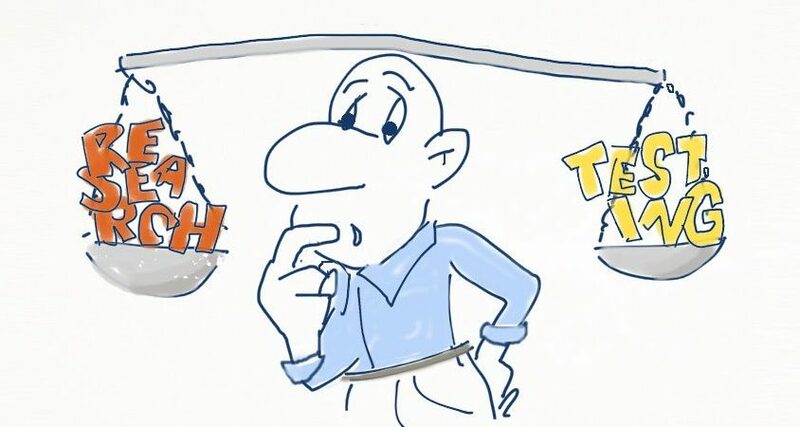 Testing in the preclinical phase (i.e. one study) can be either short (two to three weeks) or long (ranging from a few weeks to several years). However, the preclinical phase of testing can take between ten and fifty studies and last up to several years. Once enough information has been collected, the FDA reviews and determines whether tests in humans can proceed. By contrast, cosmetic testing on animals is not required by the FDA. However, while the FDA doesn’t require this testing or cosmetics to be submitted for premarket approval, it does suggest to companies that they test on animals if there is a reason to think that a product or one of its excipients might be harmful to humans. Additionally, consumers need to be aware that because the FDA doesn’t regulate this market in the same way that it does drugs, biologics, and devices, claims about whether a drug is “cruelty free” or has not been tested on animals, cannot always be trusted. This is namely because although the mascara on the shelf may not itself have been tested on animals, this does not mean that all of the products that went into the mascara were not tested on animals or didn’t come from a company that conducts animal testing. It’s essentially a very slippery and tricky slope, and requires consumers to be hyper-vigilant about the cosmetics that they put into and onto their bodies. This is further complicated by international regulations around animal testing. 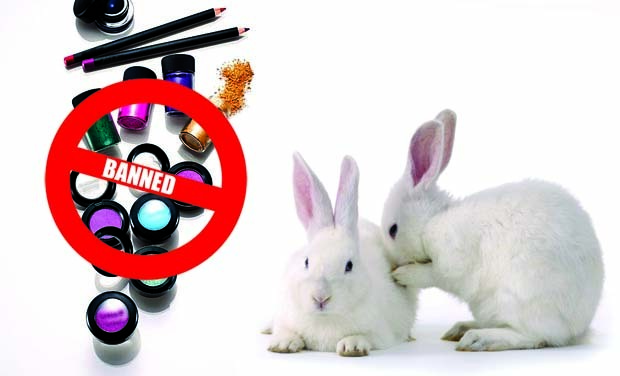 China now requires cosmetics sold in that country to be tested on animals prior to being marketed there. SAY WHAT???!!!! I know. This is beyond crazy for *so many* reasons, and its even more bizarre given that cosmetics sold in the European Union no longer can be tested on animals, it was banned in 2013. So what is going on here? 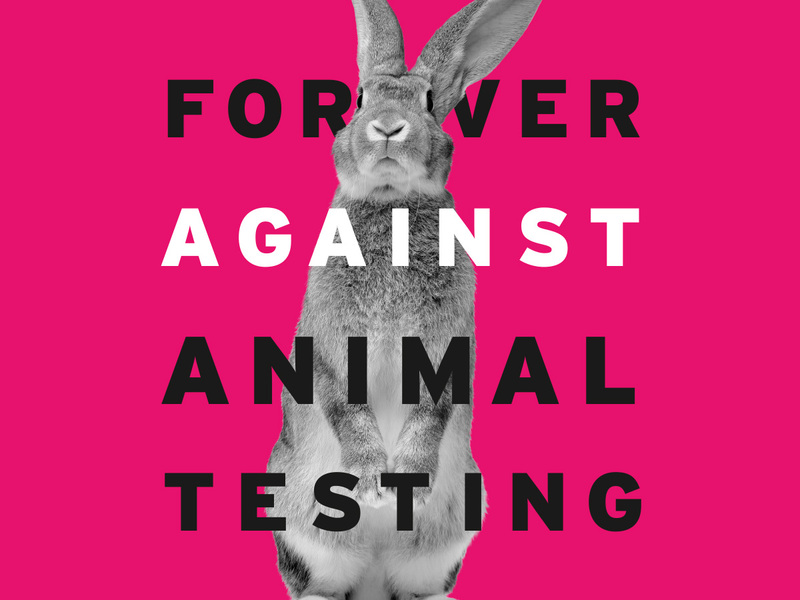 I have a lot of thoughts on this, which I’ll explore in future posts, but suffice to say, cosmetic testing on animals will remain a contentious issue for years to come. Importantly, the Humane Cosmetics Act was introduced by Martha McSally (Republican from Arizona) last year. If passed, this would ban the testing of cosmetics on animals in the US as well as the importation of cosmetics tested on animals elsewhere. It’s a big deal!! However, it currently languishes in the subcommittee on health, and needs YOUR support to move forward!! Don’t wait to get involved – thousands of animals are currently suffering horrific abuses in labs in this country and around the world – all so you can have a safer mascara or better smelling face cream. With all of the alternatives both to animal cosmetic testing and products tested on animals out there, these animals lives are being needlessly wasted. Please take action now to help end this needless suffering! 1998 The CDER Handbook. http://www.fda.gov/downloads/AboutFDA/CentersOffices/CDER/UCM198415.pdf Accessed April 9th, 2016. FDA 2018: Why are animals used for testing medical products?